Monitoring Heart Rate Variability (HRV) is so much more valuable than just monitoring heart rate. Heart rate variability (HRV) is a relatively new method for assessing the effects of stress on your body. It is measured as the time gap between your heart beats that varies as you breathe in and out. Research evidence increasingly links high HRV to good health and a high level of fitness, whilst decreased HRV is linked to stress, fatigue and even burnout. ithlete measures your HRV, as well as your resting heart rate, every morning during a one minute test. After you have built up a baseline over a few days, the ithlete software algorithms compare your daily readings with baseline to determine if any significant changes have taken place. These are reflected in traffic lights for the day’s training and in a chart to help you track trends. Simple measures of the small changes in each beat of your heart can provide a wealth of information on the health of your heart and nervous system; such measures are called heart rate variability or HRV. Originally applied to assess the risks for patients who suffered a heart attack, HRV analysis is now becoming a standard tool in sports science research and coaching practice. Since researchers first found significant changes in the nervous systems of athletes involved in hard training for the rowing world championships (Iellamo, 2002), a number of studies have tried to use HRV as a tool to monitor overtraining. In general such studies show that HRV is much lower in overtrained athletes than healthy ones (Mourot, 2004). The problem is, when you are overtrained it is too late. It might take weeks or months to get back to full fitness, so what you need is a daily measure to tell you how well your nervous system is doing. Daily monitoring using standard HRV methods have shown that listening to you heart via HRV can not only stop you overtraining but actually make your training more effective. (Manzi, 2009). The idea is quite simple. Monitor your HRV every morning and train as normal. If your HRV drops significantly, take this as an early warning that you are overloading the system. A small drop is OK as long as you recover. Training is, after all, about stress and recovery and a hard session, especially on top of accumulated fatigue, will lower your HRV. But if your HRV stays low even with rest you could be on the edge of trouble. In my opinion, using daily HRV to monitor training stress is the best thing you can do to make your training safe and effective. So listen to your heart. 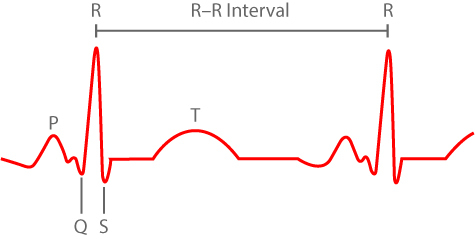 Measurement of HRV for use in monitoring training and recovery involves analysis of the heart’s beat-to-beat variation. By accurately measuring the time interval between heartbeats, the detected variation can be used to measure the psychological and physiological stress and fatigue on the body during training. Generally speaking the more relaxed and unloaded (free from fatigue) the body is, the more variable the time between heartbeats. HRV data can indicate the impact of fatigue due to prior exercise sessions, hydration levels, stress and even the degree of performance anxiety, nervousness or other external stressful influences. Studies have shown that it varies within individuals according to size of left ventricle (inherited trait), fitness level, exercise mode (endurance or static training) and skill (economy of exercise). Body position, temperature, humidity, altitude, state of mood, hormonal status, drugs and stimulants all have an effect on HRV, as do gender and age. In practice, it’s difficult to assess accurately the effect of training on the body. How do you fix your training load? How well is your body adapting to the training? Is there any accumulated fatigue and how much rest do you need for recovery? Other questions that you need to ask are – how do I know I am getting the right training effect? Have I improved? Am I over or under training? There is a tendency for training to be extreme with a prevalence of over training and under recovery. There is a general belief amongst athletes that ‘working hard’ is always a virtue when it comes to improving fitness. 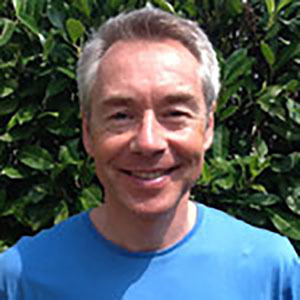 Equally at the social end of participation (charity running for example) many competitors are under prepared for the physiological effort required. The ithlete app is a commercially available product to assist those serious about their training in using HRV to improve athletic performance. Why is it important to recover from training? At rest your body system is in balance. To achieve a training effect, you need to disturb this balance by putting the body under an adaptive stress to which it can react. This stress is known as training and your body’s reaction to training is called a training effect. Well-timed rest is one of the most important factors of any training programme. The effects of training sessions can be negligible or even detrimental if insufficient rest & recovery is built in. Typically, HRV measurements demonstrate a significant and progressive decrease in the HRV index measured by ithlete during long-term heavy training followed by a significant increase during resting. Continuous hard training with insufficient recovery will slowly lead to lower performance and a long-term state of overtraining. 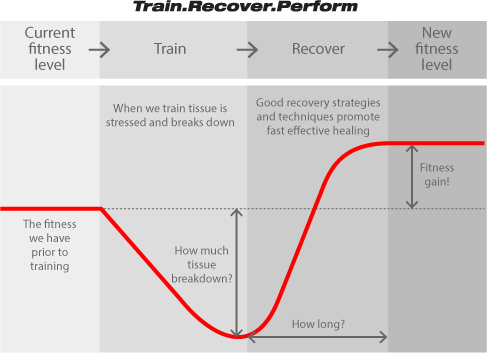 When overtrained, even a long period of recovery may not be enough to return performance to the original level. The body needs time for recovery after a single high-intensity session, or a hard training period of several days, or even after a low-intensity but long training session. Without rest, adaptation to the training load will not occur. How does HRV stress & recovery analysis work? The ithlete application requires a simple one minute test first thing every every morning, whilst you wear a regular heart rate monitor chest strap or finger sensor. During the test you breathe deeply and relax, so that you minimise the effect of external stressors on the HRV index and focus on what your body is telling you about the impact of your training. After you have performed the test for a few mornings (ideally in a quiet period of training or recovery), you will start to see daily variations around an average (the blue line). Once your normal value has been established, the Daily Change indication will give you a recommendation for today’s training intensity depending on the difference from your previous measurements. People use the device in different ways – some like to do their measurement immediately on getting out of bed, whilst some prefer to wake up a little first (but no coffee or tea before the measurement please!). Some get familiar with their normal value range as a number and judge the impact of their training from that, whilst others like to look for patterns on the chart. The Weekly & Monthly Change indicators also help you see the trends during periods of intensive training, when you can expect to see sustained decreases, or tapering before an event, when you should see a very healthy increase. HRV is a relatively simple, but effective, tool for regular checks of progress during endurance training programmes. Overtraining or under recovery are real issues that athletes and coaches alike need to consider. Overload periods need to be used with caution and additional rest periods or reduced intensity training sessions introduced to ensure athletes are optimising their training and recovery time. Close to a competition, monitoring of taper activities can be undertaken to ensure that the athlete competes in a fully recovered state. The ithlete heart rate variability monitor is a powerful tool for athletes and coaches, providing useful information which can be used to adjust training programmes to best effect.